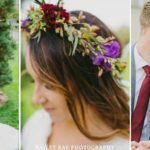 From bouquets to centerpieces these Utah Wedding florists can help you with whatever you desire for your wedding flowers. 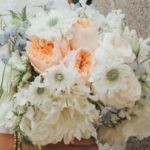 Here is a list of wedding flower shops to provide you the best flowers for your Salt Lake City wedding. 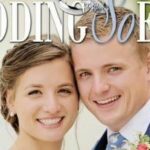 View the online Book - WEDDING SO EASY - Utah's Premier Wedding Professionals and Planning Guide! The flowers were beautiful. Amazing work. The bouquet was breathtaking and I will come to you for the future floral needs!! Thank you to everyone that helped make my wedding a dream come true! I was so impressed with how my flowers turned out. I will recommend them to everyone. Enjoy the Distinguished look of Utah's Premier Wedding Floral Design Center! So Happy With My Wedding Flowers!! Your custom wedding floral stylist! We never do more than one event per day so we can give each wedding our full focus and attention. We will do everything to make sure your wedding flowers are exactly as you've always dreamed. Flower Patch flowers were extremely helpful. I would definitely recommend them. They did an absolutely beautiful job! Thanks again, Flower Patch. I was so happy with my bridal bouquet! I wish I could give a review higher than 5 stars to The Flower Patch! THANK YOU!! All of our flowers were so perfect! Wedding Flowers "Where value is always in full bloom and fresh is a way of life." Get everything you will need for your wedding at DISCOUNT PRICES! Click on the Web tab to create your very own FREE Wedding Website. My wedding flowers were Perfect! Thank you for making my wedding day so beautiful. Berglund Floral & Wedding Decor specializes in wedding florals and decorations. Let us bring the wedding of your dreams to life. I highly recommend WeddingWorks Design. My wedding was gorgeous. I would recommend you to everyone. Simply Amazing! Ann (the owner) was great to work with. WeddingWorks Design was out of this world with design ideas and possibilities. I Loved My Wedding!! With Elegant backdrops, light canopies, furniture and decor, we specialize in transforming cultural halls into elegant wedding reception centers. My husband surprised me with flowers yesterday and they are so BEAUTIFUL! Excellent service and friendly staff! THANKS Tulip Tree for always stepping up for me. We recommend Tulip Tree Floral every chance we get! The flowers were BEAUTIFUL!! AMAZING! Exactly what I wanted! Tulip Tree, your Taylorsville, UT wedding florist, offers a wide selection of bridal bouquets, wedding ceremony flowers, floral cake decorations & centerpieces to fit any budget. We Will make your wedding day Perfect! I can't say thank you enough!!! 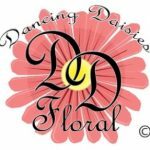 Dancing Daisies Floral is a specialty flower shop that provides custom designs for weddings, formal school dances, and special events. Willow Specialty Florist did an outstanding job for our wedding flowers! Willow Specialty Florist, thank you, thank you, thank you for the wedding flowers! LOVED my bouquet and all the wedding flowers from Willow Specialty Florist! I would highly recommend Willow Specialty Florist for your wedding event! 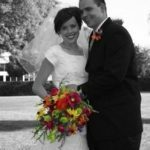 Willow Specialty Florist literally saved my wedding! 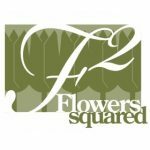 We are a specialty floral shop offering beautiful and unique floral creations. 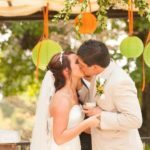 We will design a wedding that is as unique as you are! Thank you Annie for helping me have gorgeous flowers for my wedding. I would recommend Annie to anyone who needs flowers. I will send all my business to this florist in the future! 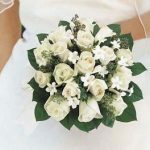 Let us provide beautiful, individually designed flowers to accent your wedding and to reflect your personality and style! Everything they did was perfect! Highly recommend!! Event Masters Decor are AMAZING! We've got your Wedding covered - Planning, Invitations, Decorations, Catering, and Floral. 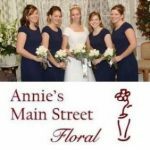 Hometown Wedding Florist! Locally Owned & Operated! Superior Quality & Exceptional Service for all of Your Wedding Needs! The most special weddings call for the most exquisite flowers. Let Blooms and Blossoms work with you to ensure your wedding is truly beautiful and leaves a lasting impression. Heirloom-Quality Flower Preservation. Visit www.suspendedintime.com for a coupon. Creating quality handmade flowers and centerpieces that incorporate technology, craftsmanship and pride! Rent or purchase these beautiful designs for one of a kind wedding reception decorations. Turning Ordinary Roses Into Extraordinary Wedding Memories. FREE delivery to Salt Lake City and surrounding areas. 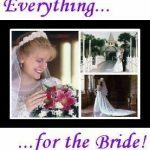 Flower shop inside Cactus & Tropicals Salt Lake City specializing in wedding and special events. Our goal is to turn your wedding dream into a colorful reality. With gardens and water features, planning the perfect wedding is easy and exciting at The Reception Center at Highland Gardens. Also offering full service floral design. Upscale flower shop specializing in wedding, parties, and special events. Let us help create the perfect wedding flowers for you! Preserving the Wedding Moments that Matter! With locations in Draper and Salt Lake City to serve you, Cactus & Tropicals provides a memorable setting for your wedding ceremony and reception. Did you know that the average couple spends 250 hours planning their own wedding?! That is a lot of time that we can save you! Visit www.weddingexpectations.com. We know that weddings come in all sizes. We also realize that wedding flowers can be the focal point or just provide the finishing touch. Whatever your situation, we can help bring your vision to life. Call for a free consultation. ﻿Artisan is pleased to offer custom designed flowers to wear for your entire wedding party, as well as centerpieces, cake flowers, and other wedding decor. We are happy to provide beautiful floral arrangements to fit any budget! Come into your local Lee's Marketplace where we make beautiful and affordable come together. Specializing in Affordable Wedding Elegance. Fresh baked wedding cakes and Wedding Flowers. Several Locations. The Rose Shop is one of Utah's oldest and most prestigious wedding floral businesses. We provide full wedding services at a great price! We offer as much, or as little, as you need for your wedding day. Created in 2010, we bring over 20 years of experience to your wedding.